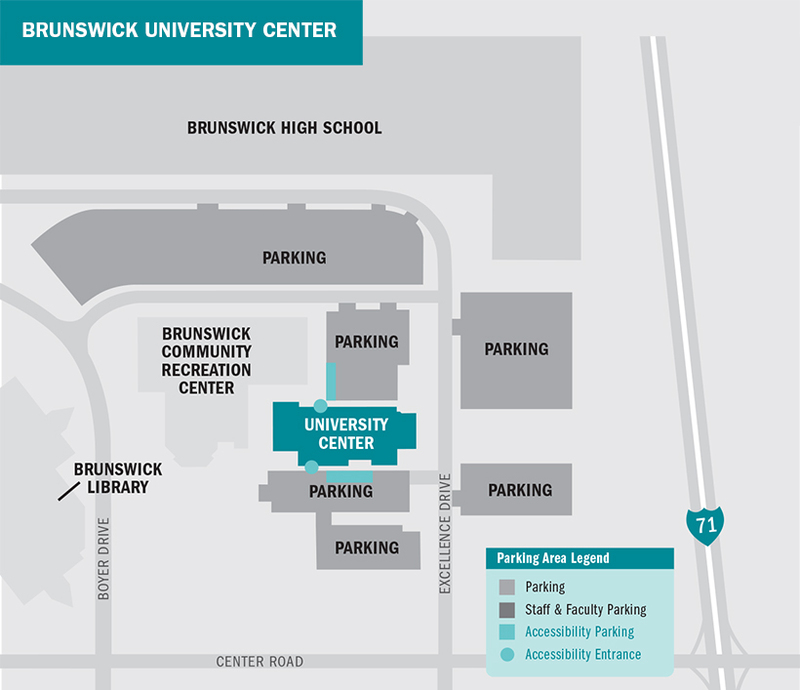 An extension of Tri-C’s Western Campus, the Brunswick University Center offers affordable and convenient options for obtaining an education to residents of southern Cuyahoga County and Medina County. At Brunswick University Center, students can take classes to complete an associate degree or earn transfer credits to a four-year institution. The center also offers workforce development, career training and personal enrichment programs for seniors in the community. Tri-C's campuses are easily accessible from major roads and highways. Click here to download directions. Need to locate a specific place at the center? Download an easy-to-follow map of buildings, departments or rooms to view an interactive site map. Ready to take the first step? Make an appointment with a recruiter.